The United States is in the middle of a manufacturing boom, with the sector generating some 284,000 new jobs in 2018. The Department of Labor noted that the increase last year was the highest surge in manufacturing employment since 1997, over a decade before the Great Recession. As of January 2019, the manufacturing industry has grown every month for the past 29 months, according to the Institute for Supply Management (ISM). The sector has increased at an accelerating clip since summer 2016, and it doesn’t show signs of slowing down in the near term. “Comments from the panel reflect continued expanding business strength, supported by strong demand and output,” states Timothy Fiore, the chair of the committee that released the ISM report and survey of manufacturing insiders. ISM divided the overall manufacturing field into 18 distinct groupings and found that they were all growing in January besides nonmetallic mineral products. Textiles, plastics, transportation equipment, electronics, food, and beverage manufacturers all reported that they were in a period of growth during January. “Consumption continued to strengthen, with production expanding strongly and employment continuing to expand at previous-month levels,” Fiore explained. Overall, ISM said that the general economy had grown every month for the past 117 months, or since early 2010. This increase is causing a boom in factory building around the US. In recent months, Volkswagen, Toyota, Volvo, and Fiat Chrysler have all announced plans to expand American production. One of the reasons so many manufacturing jobs are opening up is that Baby Boomers are retiring in droves. Recent research suggests that some 10,000 Americans reach the age of retirement every single day. Projections suggest that 80% of the 76 million Baby Boomers, Americans born between 1946 and 1964, are still in the workforce. By 2022, this percentage is expected to fall to just 40%. Factories seem to be successful in filling most of these vacancies right now. In December 2018, the Bureau of Labor Statistics said the number of open manufacturing jobs decreased by 37,000. President Donald Trump took credit for the increase in manufacturing during his 2018 State of the Union address. There have been 454,000 manufacturing jobs added since the beginning of Trump’s term in January 2017, although the sector began to heat up significantly at least several months before the 2016 election. The caveat to the good news about manufacturing is that the manufacturing sector represents a much smaller part of the economy than in the past. In 1979, some 19.5 million people were employed in manufacturing. There are only an estimated 12.8 million American manufacturing jobs as of December 2018. In 1949, the 12.9 million American manufacturing workers represented about 30% of civilian workers outside of the farming industry. Today, that percentage has dropped to historic lows of 8.5%. 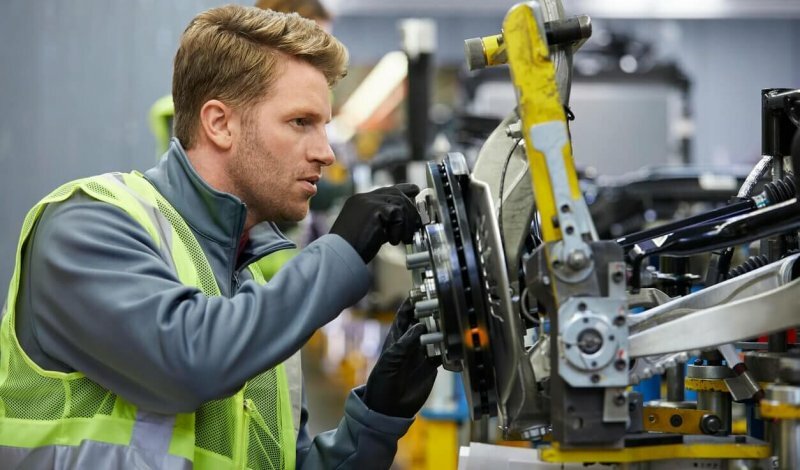 Still, manufacturing is an essential part of the American economy and accounts for 11.6% of economic output for this country, roughly $2.33 trillion of the total gross domestic product (GDP) of the US in 2018.